April and May are a busy time here at AHS, as we have many activities planned in the next few weeks. Today kicks off EOC testing, and attached is our April/May At-A-Glance which includes dates for EOC and AP testing, as well as final exams. Please make sure your student is well rested and eats a healthy breakfast to help prepare them to end the year on a positive note. Did you know April is Month of the Military Child? We will be celebrating our military families tomorrow morning from 7:00-7:30 in the AHS Library with breakfast. Invitations were mailed to our military families last week. If you have not received yours and would like to attend, please join us! Q4 Interim reports will be sent home with all students tomorrow- Thursday, April 18. Course selection for the 2019-20 school year is underway. Counselors are meeting with students through English classes this week and next to discuss four year plans, course updates, the course selection timeline and to provide individual advising. New courses for the 2019-20 school year include JROTC, Cyber Security II, AP Computer Science Principles, Dual Enrollment Oral Communication, Dual Enrollment Intro to Film and more! New courses, as well course descriptions and prerequisites can be found in the 2019-20 AHS Program of Studies located on the AHS website. Please make plans to join us for our AHS Bound Academic Open House events. Families can explore our academic offerings, meet course instructors, talk about our college and career pathways, and learn about our academies. Breakout sessions will be held every 20 minutes. Dual enrollment, AP and honors course contracts will be distributed during the event. *This event is for new and returning students. If you know any new students interested in enrolling at AHS next year, please encourage them to attend. *Rising 9th grade: Tonight from 6:00-8:30. Arlington High School is proud to partner with four post secondary institutions to provide students the opportunity to earn college credit through dual enrollment courses. If your student is interested in enrolling in a dual enrollment course, a parent meeting is scheduled for Tuesday, February 5 at 5:30pm in the AHS Auditorium. Please join Ms. Dixon, Dual Enrollment Coordinator, to discuss the dual enrollment program, qualifications and prerequisites, as well as the TSAC dual enrollment grant. Representatives from the University of Memphis, UT Martin, Southwest Tennessee Community College, and Tennessee College of Applied Technology will be present to answer questions and provide additional information on their programs. Fine Arts and Athletic Events can be found on the AHS website or by clicking here. We are entering the third week of Quarter 2. Interim reports will be sent home on Friday, November 16. Please encourage your student to stay on top of assignments and due dates. 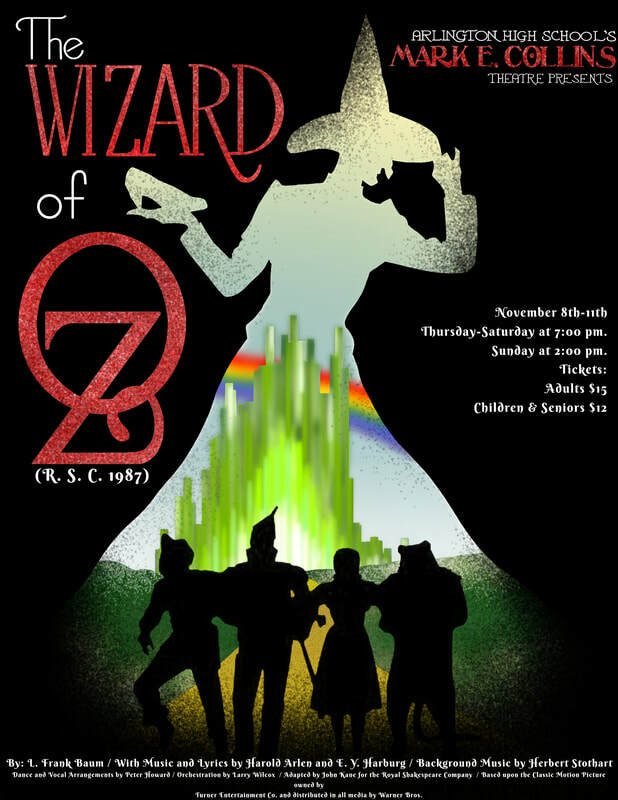 Please join us as the Mark E. Collins Theatre presents the Wizard of Oz. Opening night is this Thursday November 8. Tickets are $12 for children and seniors, and $15 for adults. See the attached flyer for show times and dates. See you there! The next ACT Bootcamp will be offered on Saturday, December 1. The all day session is FREE and will be conducted by Jane Ross instructors. Click here to sign up. Just a reminder report cards will be sent home with all students this Friday, October 26. It is Early Post Secondary Opportunity (EPSO) week across the state of Tennessee. All week we are recognizing the EPSO's we offer at AHS. 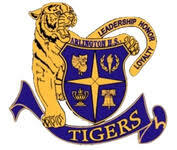 If you are on social media, check out AHS TigerLife and the videos they created highlighting our EPSO offerings. Deadline to register for the December 8 ACT. Visit ACT.org for more information. We hope everyone enjoyed Fall Break. The end of the grading period is this Friday, October 19. Report cards will be sent home with all students next Friday, October 26. Make plans to join Mr. Steve Smith, Associate Athletic Director in the Office of Compliance at Mississippi State University for a talk on college eligibility and recruiting rules. The meeting will be held this Thursday at 6:00pm in the AHS Auditorium. Flyer attached. The deadline to sign-up for the Preliminary SAT (PSAT) has been extended to Friday, October 19. The PSAT is a National Merit Scholarship qualifying test. Scores are used to identify National Merit Scholars and award merit scholarships. The test will be administered on Wednesday, October 24 and is open to Sophomores and Juniors. Cost is $16. Sign-up in the Counseling Office. Flyer attached. Saturday, Oct. 27: National ACT Test date. Register at ACT.org. Deadline is 9.28.18. Next week is Fall Break. We hope everyone has a safe week. The end of the grading period is the week after Fall Break. Please encourage your student to stay on top of assignments and due dates. Q1 ends Friday, October 19. It's Homecoming week at AHS! Join us Friday as we host Liberty Tech out of Jackson, TN. Kickoff is at 7:00pm. Arlington Community Schools is excited to soon launch a new self-help series for parents! Topics will range from teen depression and suicide to popular social media apps, tips on helping your child in school and everything in between. But first, we want to tackle a rising and serious issue that’s spreading across the United States: teen vaping. It’s today’s cigarette, and teens are lead to believe it’s safe. We encourage you to read the first article in our two part series, Vaping: Today’s Cigarette (attached below). And be on the lookout for the new self-help series, coming soon! Just a reminder all grades should be viewed in PowerSchool. Schoology is used as the learning management system and provides an avenue for teachers to distribute information and assignments to students. Student work can be viewed in Schoology, but the grades are reported in PowerSchool. Attention middle school and high school athletes and parents! Make plans to join Mr. Steve Smith, Associate Athletic Director in the Office of Compliance at Mississippi State University for a talk on college eligibility and recruiting rules. The meeting will be held at 6:00pm on October 18 in the AHS Auditorium. Registration is now available for the Practice-SAT. The PSAT will be administered during school on Wednesday, October 24. This is an optional test available to 10th and 11th grade students. Registration fee is $16. For more information, please contact the Guidance Office. Thursday, Sept. 20: Empowered by Schoology Parent Tech University session. Click here for more information. Welcome to interim week! Q1 interim reports will be sent home with all students this Wednesday, September 12. Online scheduling is now open for Parent Conference Night. Conferences are scheduled for next Monday, September 17 from 4:00-7:00. Click here to schedule a meeting with your child's teacher. Parent Tech University is back! AHS Parent Tech University is a learning opportunity designed with our parents in mind. Join the AHS technology team for hands-on sessions around Schoology and Citizenship in the Digital age. Fall classes are now forming. Seats are limited. Learn more and register at http://arlingtonhs.acsk-12.org/parent-tech-university.html. The Balfour Representative will return Friday, September 14th during all lunches outside the cafeteria to collect class ring orders and deposits. $60 deposit is required to place an order. Have you signed up for the Senior Newsletter? Have you seen the Senior Handbook? Ms. Dixon and Ms. Chisum met with all Seniors on Friday and shared important Senior information. If you have not seen the Senior handbook, please ask to see it. Important dates and deadlines are approaching. To be added to the Senior newsletter, please email Ms. Chisum at lea.chisum@acsk-12.org. Just a reminder tonight is Open House. We will begin at 6:00pm in the AHS Auditorium. If you are new to AHS, we would like to extend a special invitation to attend our New Family Meet and Greet. We would love to say hello and answer any questions you may have. Join us anytime between 5:30-6:00 in the AHS Library. See the attached flyer. Did you know the PowerSchool Portal for parents and students opened yesterday? An account must be created before you can access information in PowerSchool. If you have created a PowerSchool portal account in the past, you will continue to use that same account and login credentials. Usernames, passwords and linked family members have not changed. If you are new to to Arlington Community Schools, account setup information was mailed last week. Student login information was shared yesterday during homeroom. Schoology parent access letters were sent home with students yesterday during homeroom. The Schoology Parent Access will allow you to check your student's courses, calendars and assignments. Deadline to pay $30 iPad insurance. Class Ring Order Date: A Balfour Representative will be available from 7:00-2:00 to meet with Juniors and Seniors. A $60 deposit is required to place an order. Information packets are available in the guidance office.